According to the Department of Homeland Security, $145 million worth of counterfeit consumer electronics entered the U.S. in 2013. 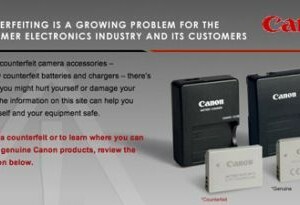 The research commissioned by Canon reveals that while three out of every four consumers surveyed were concerned about counterfeit consumer electronics, only about one in two believed they could accurately identify counterfeit consumer electronics. • In 2013, 12% of the U.S. consumers surveyed knowingly bought fake consumer electronics; 18% percent bought them unknowingly. • 40% of U.S. consumers surveyed were unaware that counterfeit consumer electronics may harm them. • 45% believed that counterfeit consumer electronics do the job just as well as genuine consumer electronics. • 97% wanted more information so they can identify counterfeits. • Millennials surveyed were five times more likely than the baby boomers to purchase fake goods. • While the majority of millennials (72%) surveyed consider themselves very knowledgeable in identifying a counterfeit consumer electronics product, about one in four continues to unknowingly buy one. 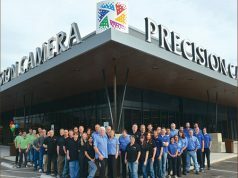 When it comes to purchase drivers, reported Canon, the majority of consumers surveyed overwhelmingly responded they value product performance, quality and safety when buying an electronic good. While 82% cited product performance, 70% said product safety is important to them.